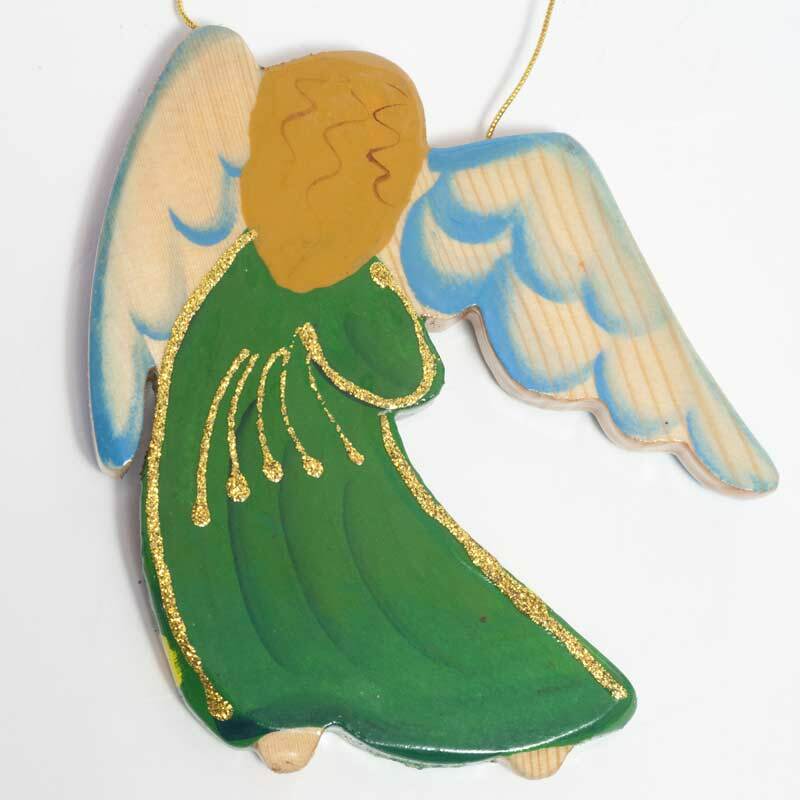 Angel in Green Robe is a hand-made and hand-painted wood Christmas ornament for decoration of the Christmas tree. 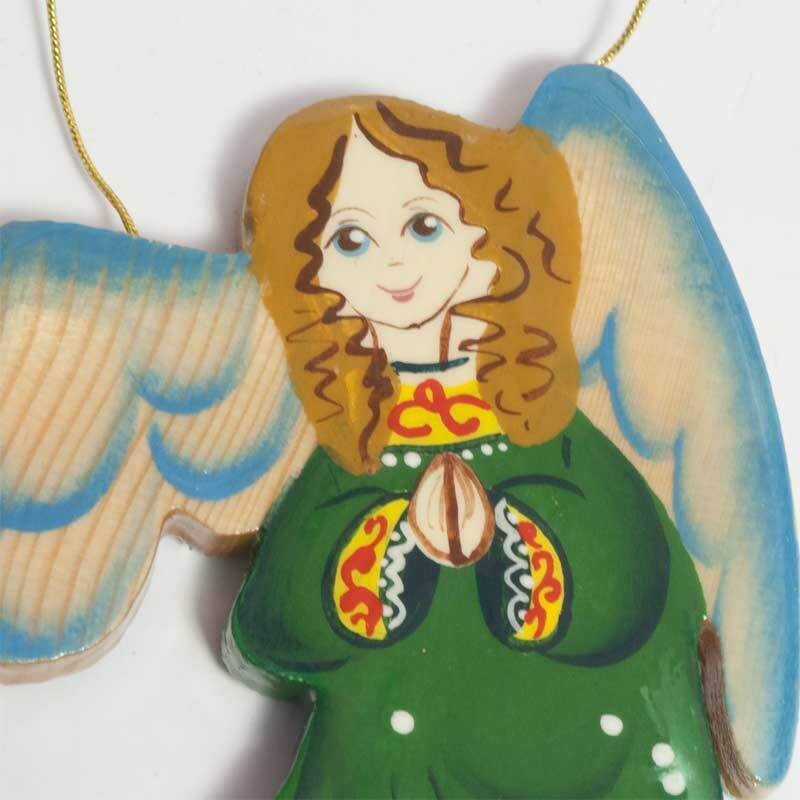 The figurine describes an angel. 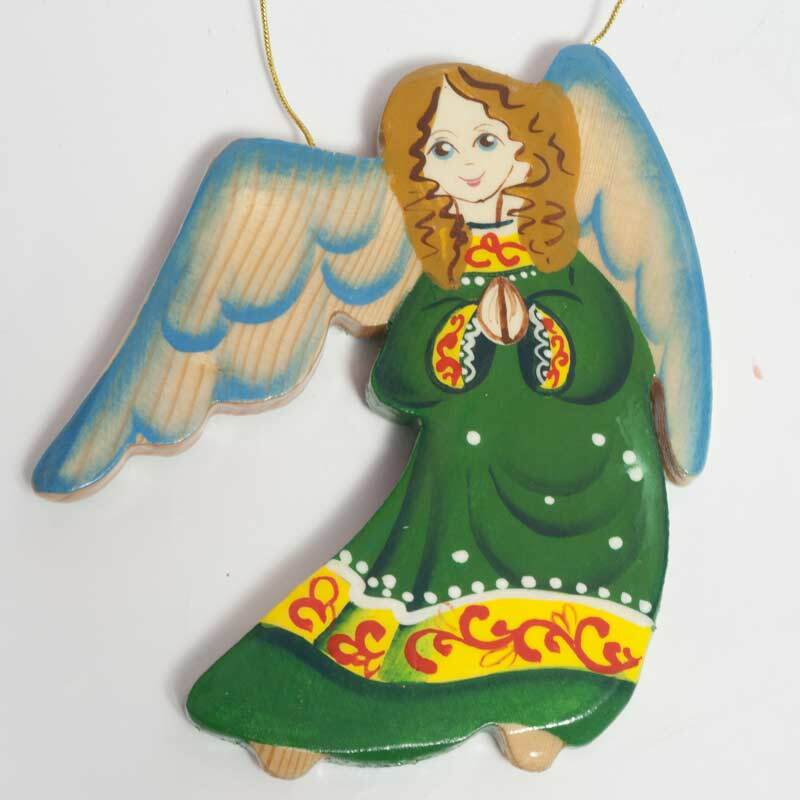 Height 12.5 cm/5", thickness 1 cm/1/3".